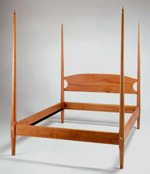 Pencil post beds are an extraordinary example of the finest part of bedroom furniture. Considering that we can spend up to one-third of our life in bed, it's clear why the bed should be one of the most important investments made in furniture. Not only utilitarian in design but also the most aesthetic in application of function and form, the pencil post bed is the centerpiece of any bedroom. We strive to create the best and most durable bed that is available. Precise fitting hand cut mortise and tenon post and rail construction with eight bed bolts makes for the sturdiest bed available. The head and optional footboards are made to compliment the assembly in strength and style. Available with an extraordinarily strong slat design and an available platform option (to eliminate the need for a box spring), our beds can support over a thousand pounds and not creak. Details such as the plugged mortises for the bed bolt nuts and a proprietary method of slat attachment set our beds above what others attempt to achieve. 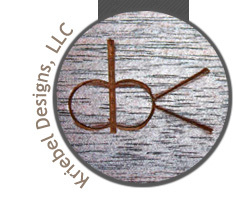 Available in a variety of sizes and woods including black walnut, curly maple, and cherry. Please contact us with any questions. Pencil post bed in black walnut. 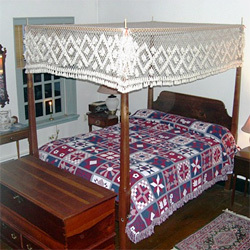 In Colonial times, pencil-post beds were draped with curtains at night to conserve heat and increase privacy.